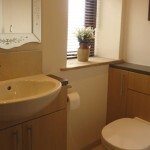 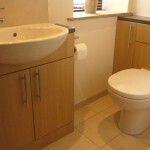 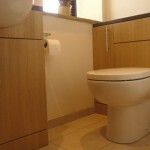 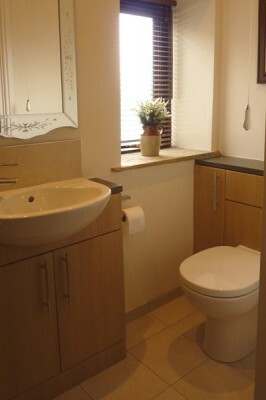 A traditional cloakroom with fitted bespoke storage, granite work tops and large towel radiator. 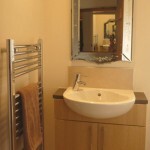 The original cloakroom had to be stripped bare and the plaster walls re-skimmed. 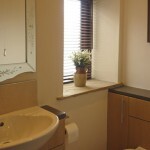 We also replaced the PVC internal window sill with a traditional stone slab, more in-keeping with the age of the stone property. 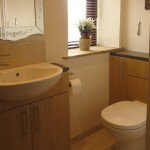 Wetroom with separate bath and kitchen, bathroom and fitted bedroom in previous home.